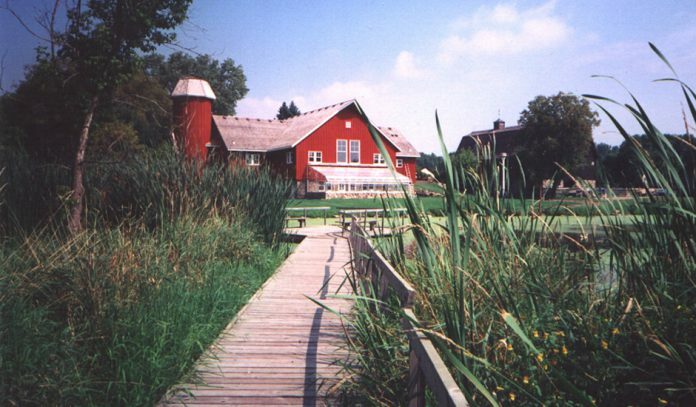 Nature Painting Evening: Art to Fawn Over, 4/6, 6:30-8 p.m. at Farm Entrance, 1701 Charlton St., West St. Paul. Follow along step by step to paint (acrylic) an adorable baby fawn. Treat yourself to good company and a cup of hot cocoa or tea. Come for a relaxing evening, and leave with your original canvas; $20, teens welcome, materials provided. Nature After Dinner: Frogs and Toads, 4/18, 6:30-7:30 p.m. at Farm Entrance. Don’t be afraid of the weird sounds coming from a pond at night. Toads and frogs are ready to meet you, and sing a chorus of springtime songs for you to enjoy. Designed for kids ages 3 to 8, accompanied by at least one adult. Families are welcome. $10 per child. Scout Farm Fun: 4/27, 10-11:30 a.m. at Farm Entrance. Boy and Girl Scouts (K-5th Grade) are invited to visit baby farm animals of all shapes and sizes at the Dodge Nature Center Farm. Spring is exciting, so come play farm games and jump in the hay. $10 per scout. For schedule and registration, call 651-455-4531 or visit DodgeNatureCenter.org. 365 Marie Ave, West St. Paul. Pre-registration encouraged.